Social media has been with us for close to two decades. Though some how it was not so named then. At least from 1991, we have seen manifestation, traces of what is now known as social media tools. It is on record also that faceBook, Twitter and Youtube came a little bit later, but it is obvious they took the advantage of the moment and turned the world around with their own initiatives and creativity. Human communication has not remained the same since. Journalism and other professions had been radically changed with the new media tools. News coverage and ownership is also not what it used to be. Power now belongs to anyone who wants to engage and exercise his/her publishing power. People can find out anything now with a click of buttons. Unlike before when you have to make calls, send snail mail among others and have to wait for days on your Post office clerks to bring your mail, things have changed for good. We will never return to that age any longer. To those who have ears and eyes to hear and see, they know why preparation for change is expedient. The way you are doing business today may change without enough notice. It is better to prepare and forecast the change, make preparation for such changes before they arrive than to be caught unaware. 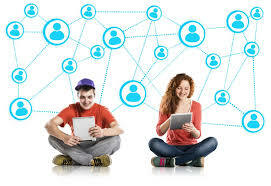 Through social media tools, we can connect, converse and exchange quality ideas, make money without leaving the comfort of our home or office. Digital technology, whether free or comes with a little cost has also reduced traffic time, man hour wastage. A downside of this though is that many had to go through retraining if they do not want to be sidetracked by the new technology. Many who had refused to adapt are now laid off work. Many people who initially felt social tools will soon fizzle away like other childish toys had now come to term with its use. There is middle of the road option. You have to take a position and that position must be clear. Development organizations top Executives who used to be afraid of over communication or exposure have seen the need to embrace these essential tools. At the initial stage, Many Chief Executive officers, Chief Marketing Officers refused to touch these tools for a long while. The environment is changing. It is either they are actively involved or someone is managing their accounts on their behalf. Another influence of social media is in policy and political changes. Many citizens are becoming actively informed and involved in political process. It has become a tool for political activism. The face of governance and leadership has changed for good. Several movements and social activism had been coordinated, planned, executed through social media. Some of these movements moved from online to offline. Think about Arab springs, think of many other ‘Occupy whatever’ like ‘OccupyNigeria’ and occupy Ghana that is currently going on today. Think about several successful online campaigns which had changed the fortune of many frontline brands across the globe. Have you also considered major conferences and meetings you have loved to attend but you could not because of distance, immigration issues which are now made easy with livestreaming? Have you thought of what could have happened without social tools? Today, what Mashable and Social Media Club International, California, USA initiated about five years ago is becoming a point of reference for all digital savvy professionals and amateurs. I am glad I am part of this. Looking back, I am proud to say I was part of the first set of professionals who saw a future in this from Public relations, Brand Communication angle here in Nigeria. HAPPY 5TH BIRTHDAY SOCIAL MEDIA COMMUNITY AROUND THE WORLD AND IN NIGERIA.